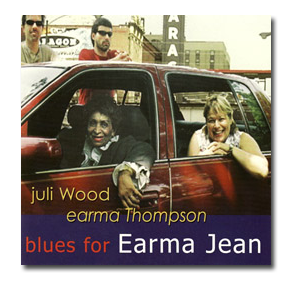 Wood, after all, owns a big and burly tone on tenor, her husky sound, deep rhythmic accents and prolific phrasemaking consistently commanding attention. – Howard Reich, CHICAGO TRIBUNE please read the article. 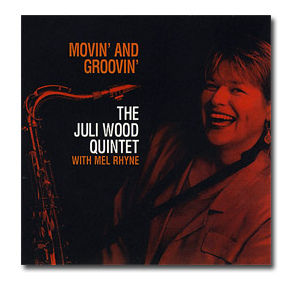 . .
A really positive surprise was Juli Wood, who showed she was a superb saxophonist with a taste for long blues-drenched solos and a sterling feeling for tradition and what great saxophonists from the past have done. She wove her own straight forward statements from the horn with a great deal of heart and a real heaping helping of soul. She sings with great heart and her voice sounds deep and African-American. 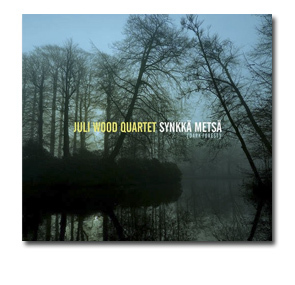 At first glance, Wood , an affable sort, doesn’t strike one as the feisty saxist she is. In this world where labels take a strong hold of peoples’ predetermined images like a gripping vice, it’s awfully good to know that there are people like Juli Wood… Wood’s playing that night at Andy’s made believers out of the packed house. 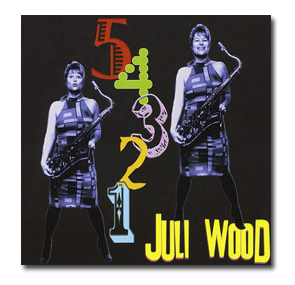 Juli Wood didn’t invent the idea of the singing saxophonist but she works hard to uphold the tradition. Juli’s not only a talented saxophonist and vocalist, she’s proven to be a band leader who enjoys the hell out of making music, and she has a knack for inspiring others to do the same.